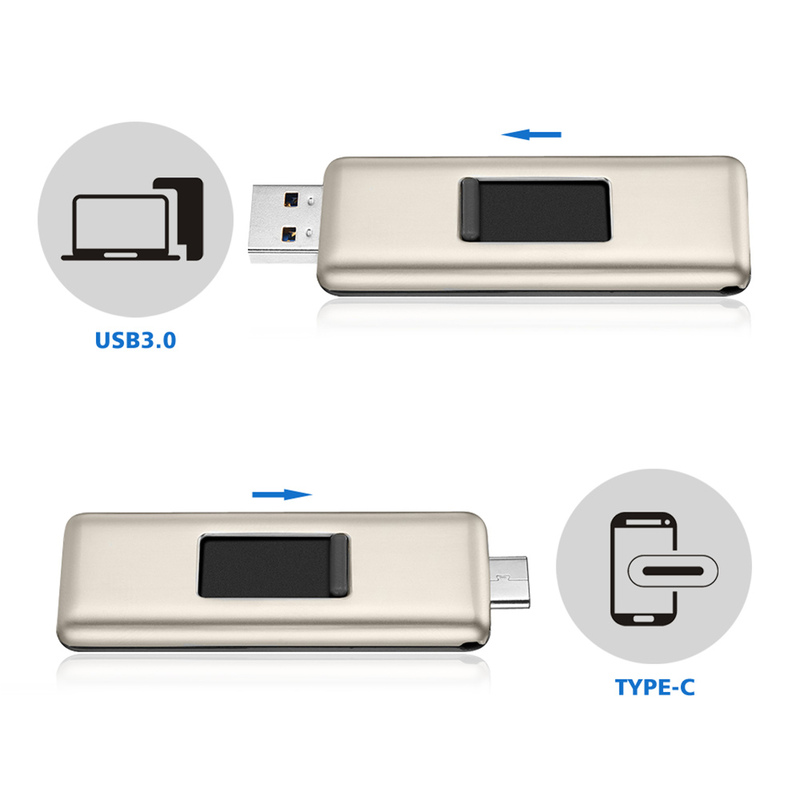 Both USB3.0 and Type-C interface are available: use for computers, laptops and Android smart phones with USB type-C ports. 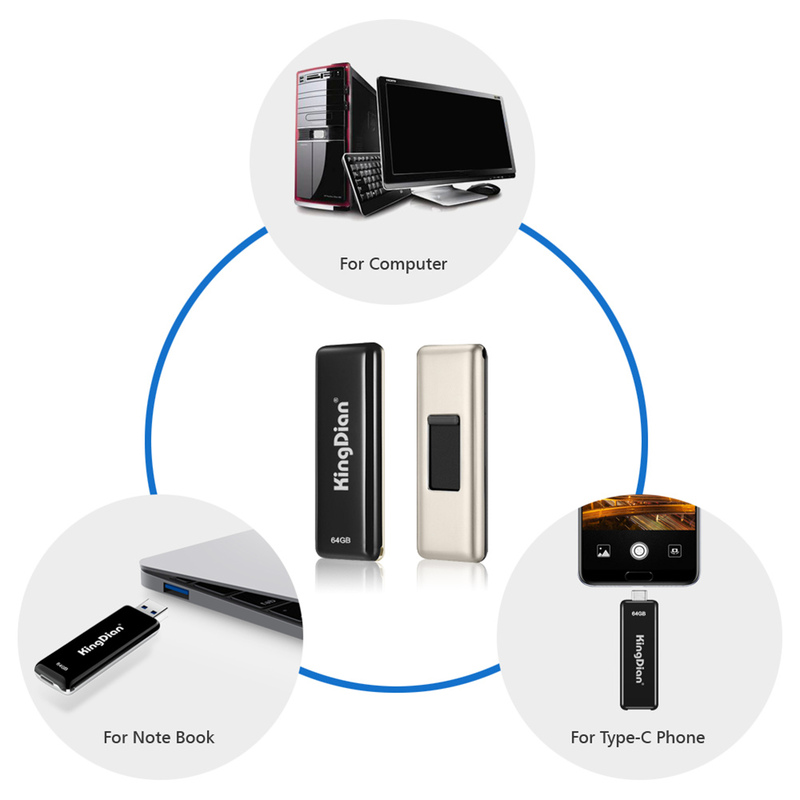 Powerful compatibility: Compatible with Windows series OS, VISTA, Mac OS, Linux, Chrome. Providing more storage for Android OTG mobile devices. 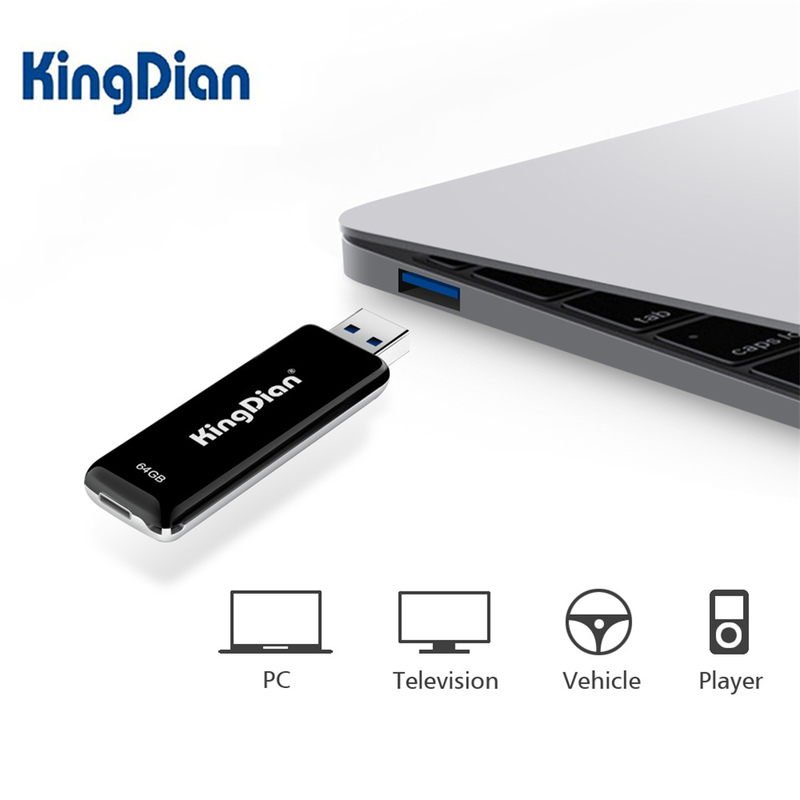 Plug and play, don\'t need drive: These USB sticks are perfect if you have the new Mac Book or Android smart phones which only has the Type-C port! 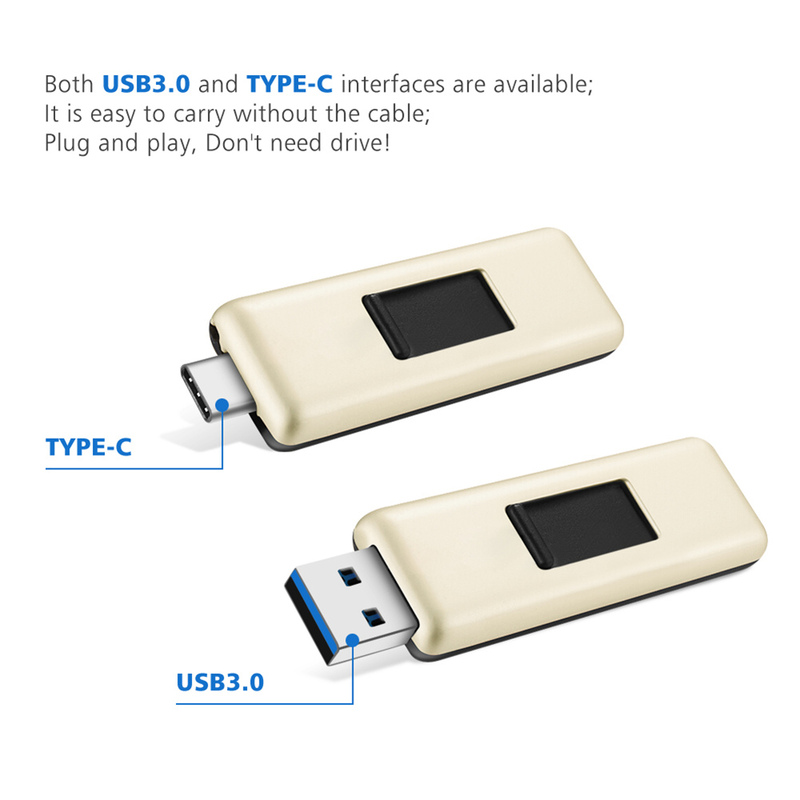 One side is Type-C and one side is your regular USB. No More silly adapters! But you need to formatted before use. 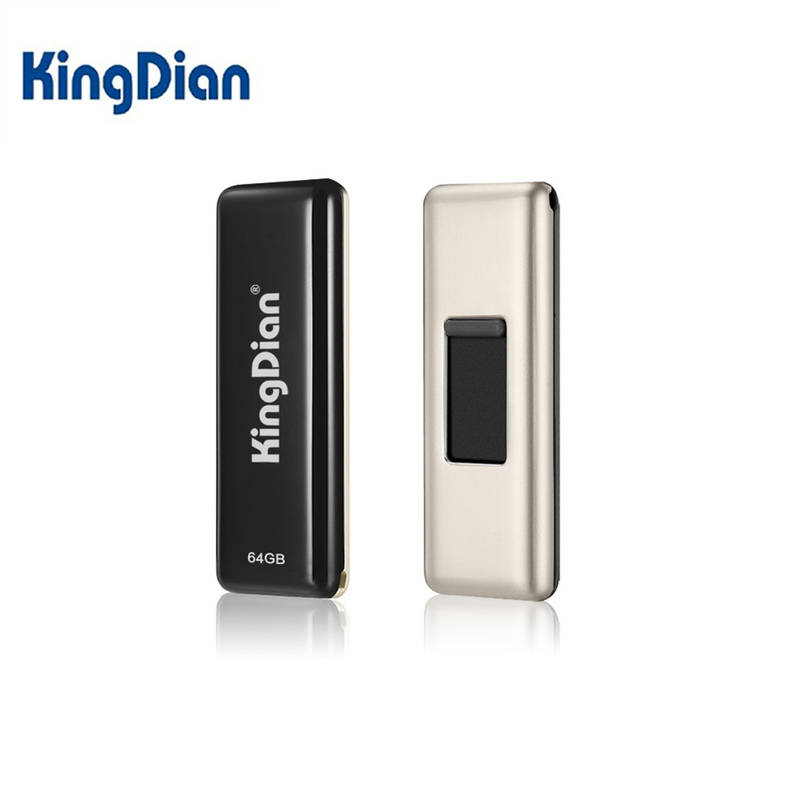 Push-pull design, don\'t need cable: You can choose the Type-C or USB3.0 ports by moving the little plastic nubbin. 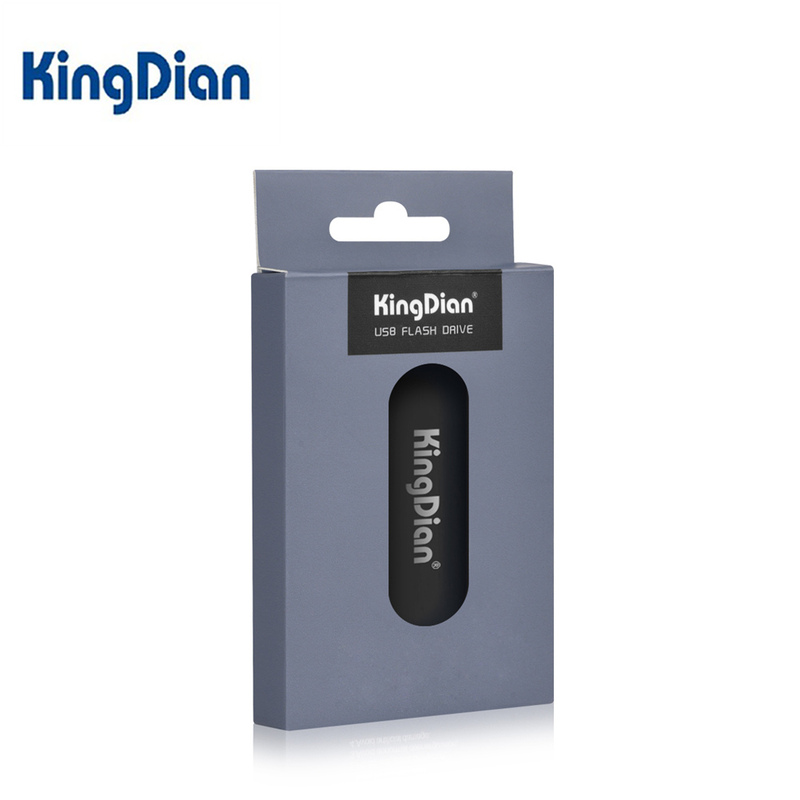 Protects your Micro-USB interface, extending the life of the flash drive effective. Small size, easy To carry! 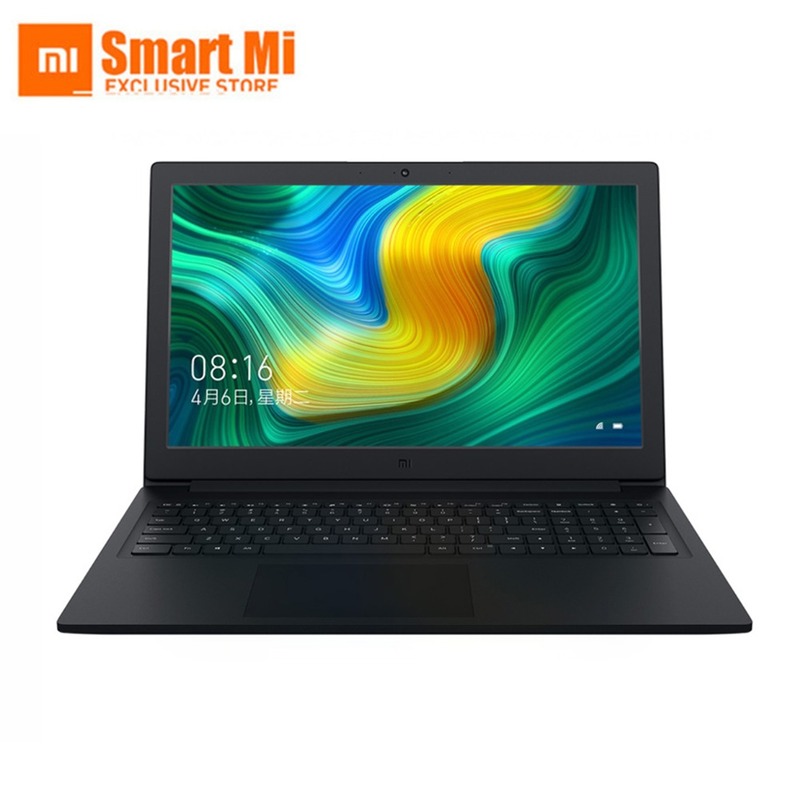 Can works for New Mac Book, Chrome Book Pixel, Google Nexus 5X, Nexus 6P, Nokia N1, LG G5 G6, HTC U11. Samsung Galaxy S9/S9 Plus/S8/S8 Plus/Note8 Huawei P20/P20 Lite/P10/P10 Plus/Mate 10/Honor 9 and other type c port devices. Great for emptying pics off your phone. 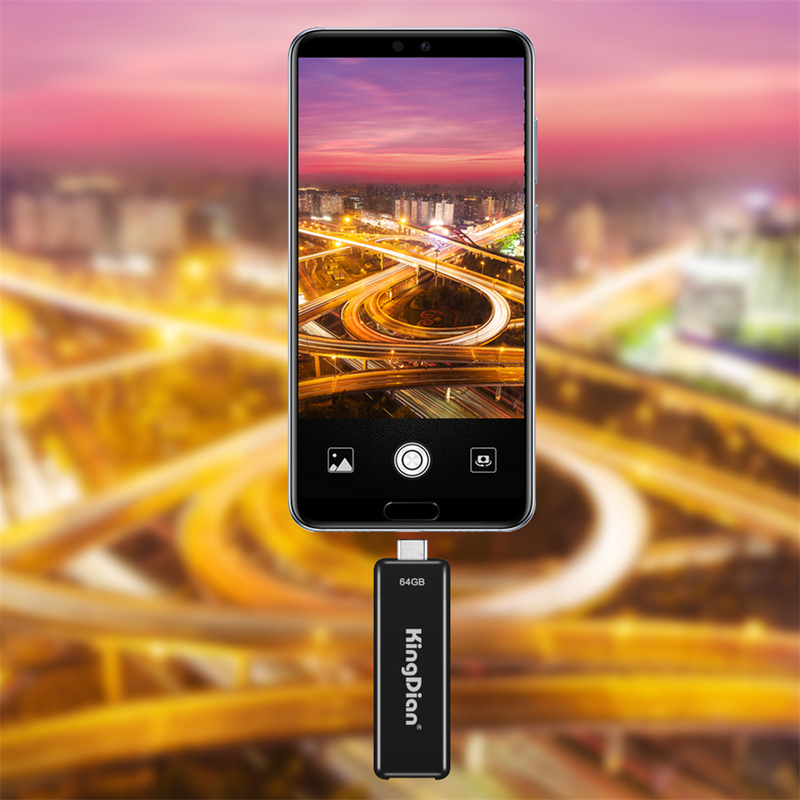 Use for Smart Phone, PC, Television, Vehicle, Player and other devices with USB or Type-C interfaces. 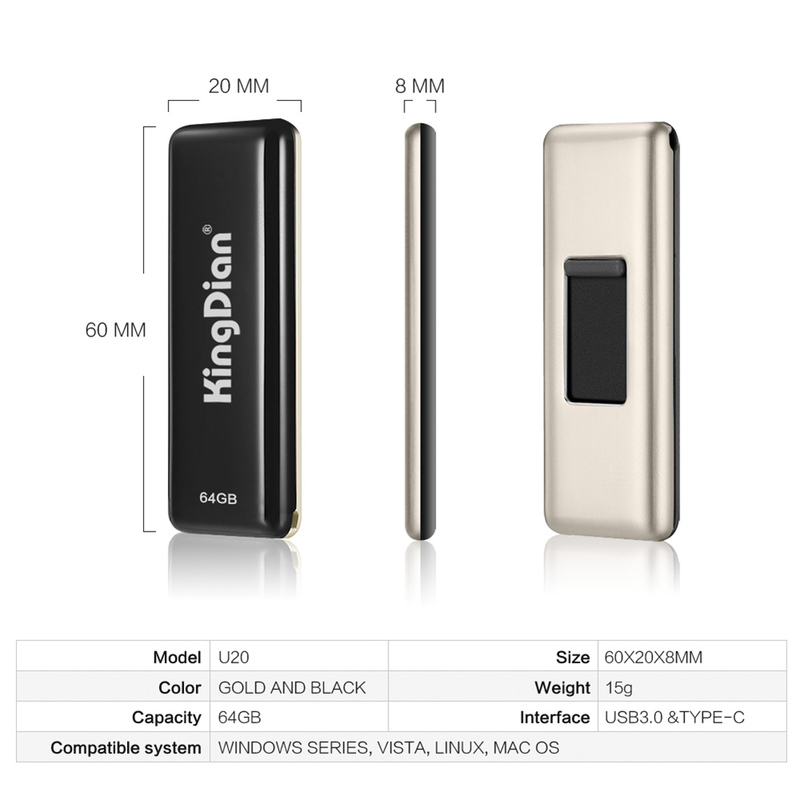 It also has Type-C and USB3.0 interfaces, which can be used for computer and smart phone. PC System available: Windows 8.1, Windows8, Windows7 (SP1), Windows Vista (SP2), Windows XP, Mac OS X v.10.7x +, Linux v.2.6.x +, Chrome.